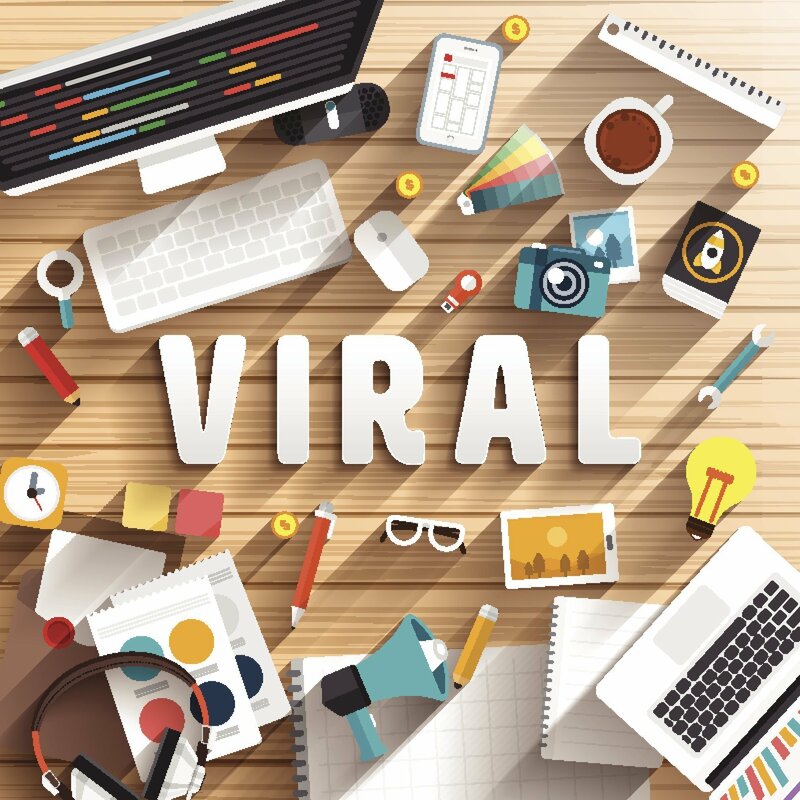 Viral marketing is when someone creates a video or visual content that resonates with their target audience. That content is shared to the point that it spreads like fire across social media. Viral marketing campaigns sometimes even make the national news. A campaign that goes viral means a company’s engaged and increases brand awareness. Viral marketing campaigns are enormous for any company, but what makes a campaign go viral? It appeals to a target audience. For any campaign to go viral, it needs to resonate with the target audience and make the audience feel so strongly about your content that they decide to share it with family, friends, and followers. Research who your target audience is at the beginning of creating your campaign because if you don’t know your target audience, you won’t know how to move to the next steps in creating a viral marketing initiative. It has a strong visual strategy. A campaign should tell a story, and that story is best described using visual elements that resonate with your audience. Your visual strategy needs to be compatible with your brand— it should be interesting, informative, and contain some part of the intrigue, such as humor or hope. Keep in mind the message of the ad should be the message your company wants to deliver. Without relevance, your ads are just another picture or another video that doesn’t move the crowd to put their attention on you. Create content people want to share. Sharing is a prerequisite for viral marketing. Accordingly, the most important aspect of going viral is creating content people want to share. This is what transforms a regular topic into a trending topic, and a weekly ad into a viral ad. It’s easy to share and promote. For something to go viral, it needs to be shared repeatedly. This means you and your company need to share the content first in as many places — and in as many ways — as possible. Then, you need to make it easy for your audience to share it as well. Enable sharing, embedding, and downloading capabilities on all your content so your viewers can tag their parents on Facebook, message their best friends on Instagram, or download your video so they can quickly turn your content into a great GIF. It’s published at the right time. Timing is everything as they say, and this is true when it comes to making sure your marketing campaign goes viral. This is where a little bit of luck is involved. You should also consider the date and time that you share your content. Marketers use major holidays — such as Christmas — as well as significant events, like the presidential race and the Super Bowl, to their advantage.